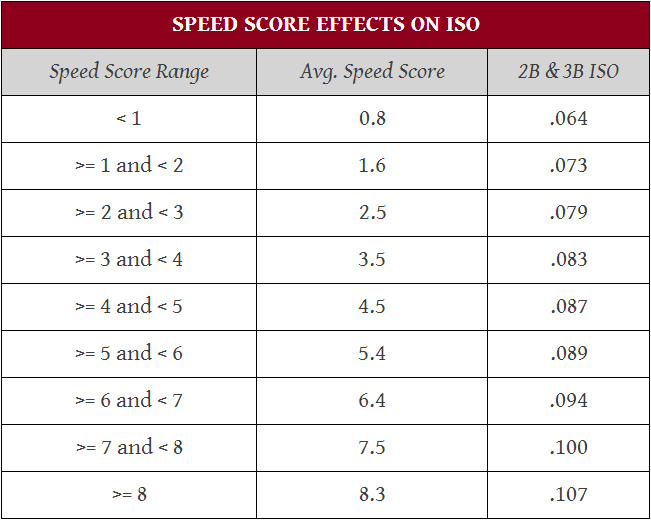 A couple weeks ago, Jeff Zimmerman wrote about how speed affects ISO for The Hardball Times. The takeaway was that for each additional point in speed score (a stat we carry here on FanGraphs), a player’s ISO on doubles and triples will increase five points (.005). Incidentally, running quickly can’t effect home run ISO, unless we’re talking about those super rate inside the park types. Here’s the article and here’s a table from the article. Jeff’s research should provide us with some actionable information for our fantasy leagues. For example, here’s a custom leaderboard that I built. I’ve pasted a screenshot of the first page, but that link will get you the entire thing. You’ll notice I group Spd, HR, and ISO in the middle of the board and include doubles and triples towards the left of the table. 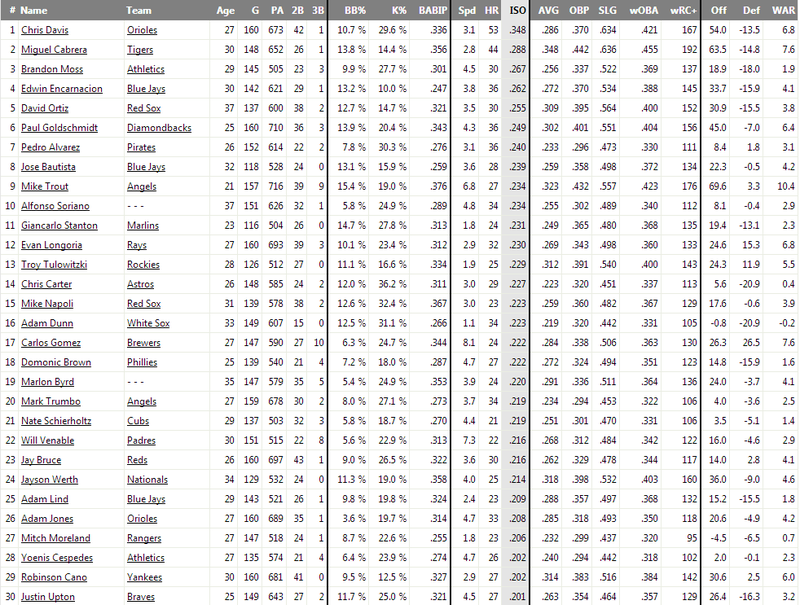 The rest of the table is populated with some stats my brain likes. From this first page, you’ll see guys like Mike Trout, Carlos Gomez, and Will Venable mixed in with a bunch of pure power hitting types. These three players feature high speed scores and a lot of doubles and triples relative to the other 27 names. They still hit their share of home runs – we’re talking about the 30 most “powerful” players last season, but they benefited from other types of extra base hits too. Doubles are sometimes seen as a leading indicator of future home runs. Ostensibly, most doubles land deep in a gap or go over an outfielder’s head such that a slight change in conditions or angle of elevation could result in a home run. With speedy players, that assumption is probably less true and therefore, those players are probably less likely to convert doubles into home runs. One of Jeff’s results is that doubles and triples ISO declines almost immediately. There’s a nice chart of it in the article. As he points out, that’s intuitive since speed also begins to decline immediately. Home run ISO peaks at about age 25 or 26, so overall ISO can increase even as non-home run ISO declines. At around age 27, we should expect to see double barreled ISO regression. We tend to only concern ourselves with home run regression in most formats, but when a player goes yard less often and also has fewer doubles and triples, we’re going to see an effect in runs, RBI, and maybe batting average. Obviously, reduced speed affects stolen base potential, but we should already be factoring that in (there’s also the competing element of better situational awareness, like with Coco Crisp). Jeff’s findings provide excellent food for thought when building custom projections for players. I’ve generally looked at ISO as a one-size-fits-all stat when there’s valuable information to be gained by splitting it down to home runs versus doubles and triples while introducing speed. I’m going to spend the next hour incorporating this information into my auction values for this afternoon’s Blog Wars draft (yesterday afternoon by the time this gets to you). 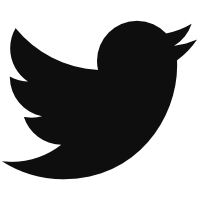 I don’t expect this information to greatly affect any player’s valuation – maybe a dollar here or there. What I do expect is to find a few new players who profile as strong targets or obvious avoids. We hoped you liked reading Thoughts About Speed, ISO, and Fantasy Baseball by Brad Johnson! If we expect to see ISO regression around age 27, is it generally a good idea to rule out the idea of a player having a HR breakout the season after a high doubles/triples total if he’s older? Players rarely breakout after age 27, I don’t have the specific number handy. It does happen, so I wouldn’t rule it out. Everyone is different, we’re just talking league wide trend here.